© Petty Officer 2nd Class Diana Quinlan/U.S. Navy This Oct. 13, 2016, file image shows the USS Decatur operating in the South China Sea. 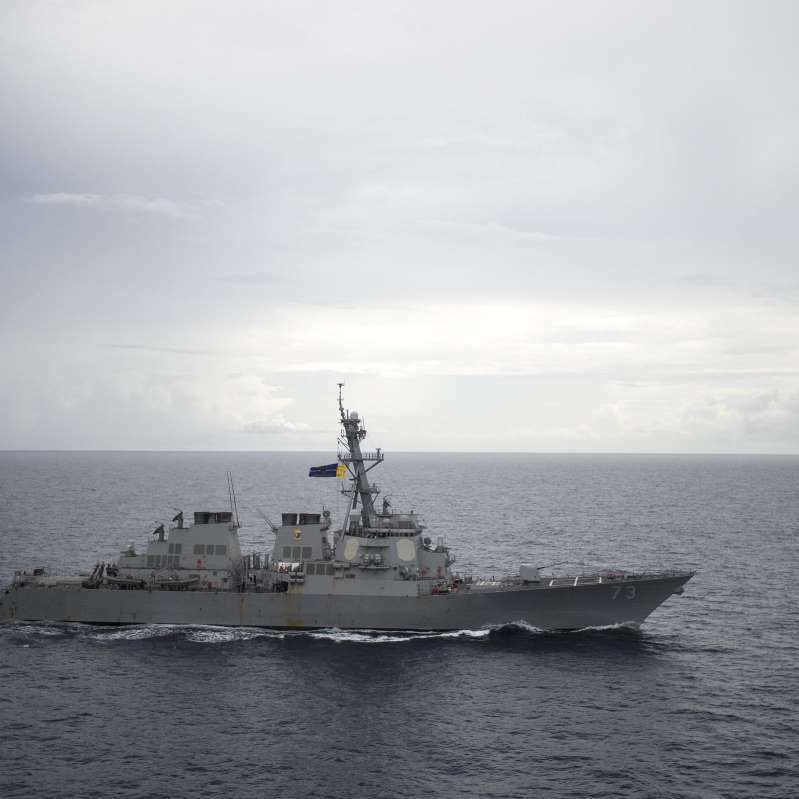 A U.S. Navy cruiser had an "unsafe" encounter with a Chinese ship while conducting a freedom of navigation operation in the Spratly Islands on Sunday in the South China Sea, a U.S. defense official tells CBS News. The USS Decatur passed within 12 nautical miles of two reefs in the Spratly Islands, which the Chinese consider sovereign territory. The Chinese military routinely warns American ships and aircraft away, but in this case, the Chinese ship came within 45 feet of the USS Decatur, the official said. The incident is the latest in a series of testy exchanges between the U.S. and Chinese militaries. Last week, China called a mission by U.S. bombers over the South China Sea "provocative," and said the U.S. was solely responsible for the recent downturn in relations.